In People v. Bacon, B214314, concerning a conviction and sentence of defendant for drug related offenses, the court affirmed but modified as, the amendment of Penal Code section 4019 applies retroactively, and thus, defendant is entitled to the benefit of the amendment and should be awarded 10 more days of presentence local conduct credit. Quick v. Pearson, B215277, concerned a plaintiff's suit for breach of trust, alleging that his claim was within the three-year statute of limitations for actions by a beneficiary against a trustee. In reversing the the judgment of the trial court, the court held that, in light of the circumstances surrounding the discovery of his natural father and the trustee's efforts to conceal the information, the trial court improvidently sustained the trustee's demurrer to plaintiff's second amended petition for relief from breach of trust without leave to amend. S.B.C.C., Inc. v. St. Paul Fire & Marine Ins. Co., H034211, concerned a challenge to the trial court's grant of summary judgment for defendant-insurer in plaintiff's action for insurance bad faith, claiming that its insurer wrongfully refused to defend plaintiff in an action brought by its competitor. In affirming the decision, the court held that the CGL policy the defendant issued to plaintiff did not offer coverage against the types of claims brought by the competitor, and given the underlying facts and the policy language at issue, there is no theory on which the underlying action could conceivably be covered. Singh v. Southland Stone, U.S.A. Inc., B208620, concerned a plaintiff's suit against his former employers raising numerous causes of action, claiming that he was induced to come to the United States by the defendants who, within just a few months of his arrival from his home country of India, had his promised salary reduced and then pressured him to resign. The court affirmed in part the judgment of the trial court as to the denial of relief on the count for breach of contract and the award of damages on the count for unpaid wages as defendants have shown no error. However, the court reversed the trial court's judgment in all other respects in finding that the refusal of defendants' proposed jury instruction regarding the salary reduction was error, that the special verdict findings regarding alleged misrepresentations and promises made to plaintiff are inconsistent, and such inconsistency also extends to the finding of malice, oppression, or fraud. The court also held that the defendants are entitled to judgment in their favor on the count for breach of the implied covenant of good faith and fair dealing. Lastly, the court held that the award of damages for intentional infliction of emotional distress is based on injuries suffered in the course and scope of employment, for which workers' compensation provides the exclusive remedy, but that the workers' compensation exclusivity rule does not preclude this entire action. City of San Jose v. Operating Eng'r Local Union No. 3, S162647, concerned a request for injunctive relief by the City of San Jose, seeking to enjoin 110 employees from engaging in any work stoppage. 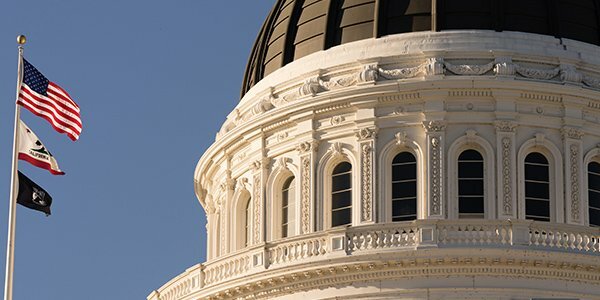 In affirming the judgment of the Court of Appeal, the court held that the California Public Employment Relations Board (PERB) has initial jurisdiction over a claim by a public entity that a strike by some or all of its employees is illegal. The court also held that a public entity must exhaust its administrative remedies before PERB before seeking judicial relief unless one of the recognized exceptions to the exhaustion of administrative remedies requirement is established. People v. Herrera, S171895, concerned a challenge to the Court of Appeal's reversal of trial court's decision to allow a deported witness's testimony to be read to the jury in a prosecution of defendant for first degree murder, with a criminal street gang special circumstances and two gang-related enhancements. In reversing the judgment of the Court of Appeal, the court held that the prosecution's showing of the witness's unavailability, which was based on undisputed testimony, satisfied constitutional and state law requirements. People v. Lomax, S057321, concerned a challenge to defendant's conviction of two robberies, with a murder in the course of committing one of the robberies, and sentence to death, on automatic appeal. In affirming, the court rejected defendant's various claims including, a claimed denial of constitutional and statutory speedy trial rights, a violation of defendant's constitutional rights by requiring him to wear an electronic security belt during trial, juror issues, and the constitutionality of the death penalty statute and instructions.